I am a realist painter working in the medium of acrylic paint on canvas and paper. Whimsical photo-realism is one way to describe my approach to painting. On a technical level I place a priority on addressing the light source in a realistic way. No matter how indulgent I am with parodies of birds and human behaviour, there is always that attention to light and shadow. My work is constantly evolving and I enjoy contrasting serious landscape studies with whimsical caricatures of birds and other creatures. When I arrived out here as a city artist, my first impression of the landscape was the simplicity and clarity of my surroundings. Over the years I have been trying to capture the energy and beauty of such a seemingly "nothing there" landscape. This simplicity encompasses great colour and light, it seems harsh yet safe at the same time. Mixed with the interplay of human, animal and plant life the landscape becomes full of immense emotion detailing a great kaleidoscope of raw beauty, contrast and humour. 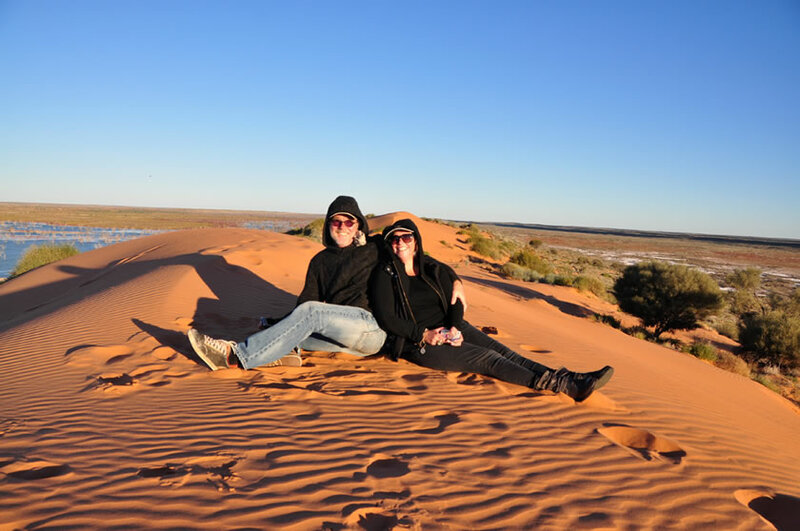 The outback is a graveyard of historical remnants and examples of human endeavour. In many ways my paintings pay tribute to these pioneering souls both past and present. I try to convey the endearing qualities of country life by drawing on everyday situations, human folly, places and scenes that are a familiar part of life in the bush. Anyone who has driven inland from the coast 800 kms or more gets that sense of vastness, the harsh and dusty beauty of the landscape. The light has a different quality to it, due to the lack of pollution and moisture, there is an intensity of colour that, as a painter, continues to inspire and challenge me. 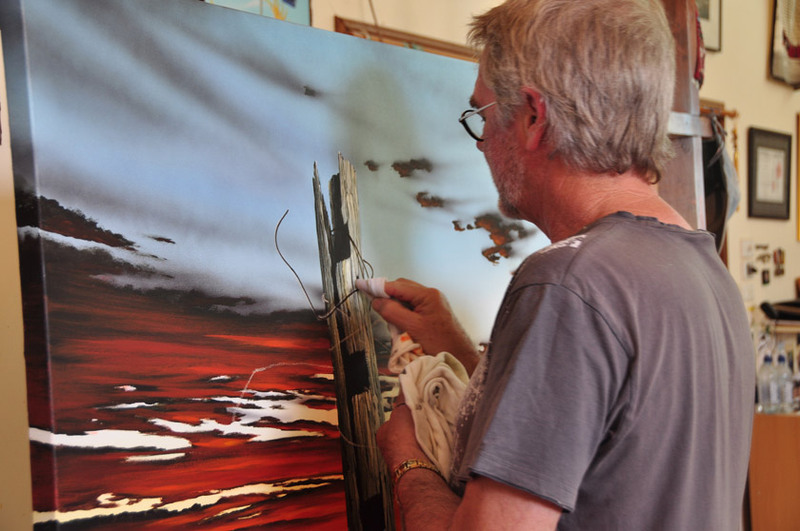 I have been painting landscapes for twenty five years now. 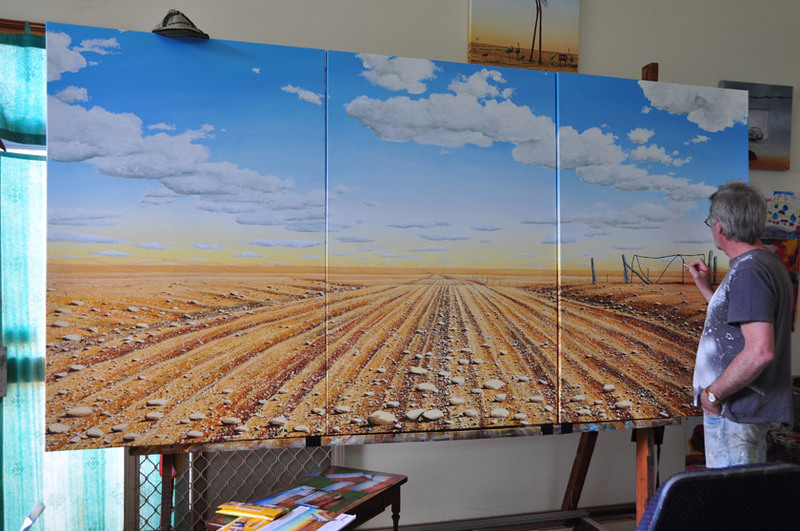 My search for material to paint has led me to many parts of Australia, yet it is the arid regions that have become my artistic home. In this isolation I have discovered such beauty in colour, coupled with an underlying softness and humour. These contrasts continue to inspire me to capture that innate beauty of such a hard land. I have a disciplined approach to painting in which I paint on a daily basis, and when the need arises for new material and enthusiasm; I pack up the vehicle and head west.